Click HERE for more information and to register for Free! Everyone wants to be heard. Everyone wants to feel like their life, their story is important and that someone is listening. Oftentimes, children feel that no one is listening. They are taught to be the listeners and to regurgitate the information presented to them. But today’s youth are filled with concerns, emotions, and thoughtful perspectives. The Omari Hardwick bluapple Poetry Network gives students across South Florida the opportunity to truly be the center of the educational process and express themselves through the art of spoken word poetry. Students from kindergarten through high school are exposed to the transformative power of poetry through teacher and student-led workshops, virtual poetry readings, regional conferences, and more. The bluapple curriculum is aligned with all of the latest educational standards, but it is designed to make the focal point of the program true artistic expression. The ability to articulately and creatively express oneself with words is an essential tool for success that is cultivated with the assistance of teachers and teaching artists throughout the Network. Students have thoughts that breathe, and the Omari Hardwick bluapple Poetry Network gives them platforms to let their words burn. 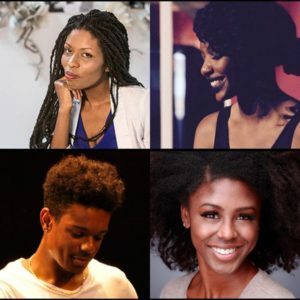 The bluapple teaching artists are experienced poets that partner with teachers in the bluapple poetry network to help students develop their skills in writing, story-telling and performing. These artists visit the schools weekly. They also play a large role in facilitating annual events such as the Poetry and Leadership Conference and Louder Than A Bomb Florida. Working closely with these students, the teaching artists develop relationships with the poets of the bluapple network in order to develop a mentorship. 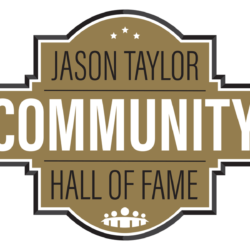 To find out more about teaching artists, or how to become one, contact info@jasontaylorfoundation.com. 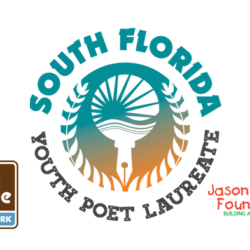 Inspired by the Chicago poetry festival created by Kevin Coval and Anna West, Louder Than A Bomb Florida works to build upon the impact of the bluapple network with a thirteen day festival that facilitates poetry slams between schools from Homestead to Port St. Lucie. 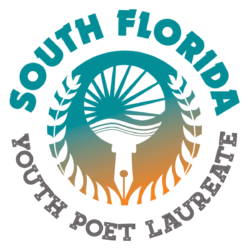 Dubbed the Super Bowl of poetry, LTABFLA is designed to empower young poets through the art of telling their story. With multiple slams and community events students are able to connect with other poets within and out of the network. Although individual and team winners are named yearly, participants are always reminded of the legendary LTAB mantra: the point is not the points, the point is the poetry. To learn more about Louder Than A Bomb Florida, click here. LTABFLA isn’t the only time students in the bluapple network are able to come together, perform and connect. Bluapple holds two open mic nights a month, known as the VoiceBox and Lyrical Lounge. Held at ArtServe and the City of Sunrise Civic Center, respectively, each of these open mics are free to attend, allowing students to practice their skills and speak their truth. 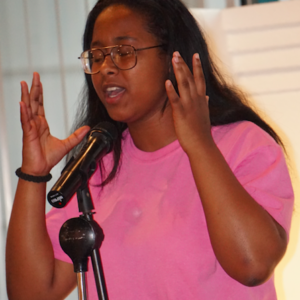 Like LTABFLA and any other bluapple event, VoiceBox and Lyrical Lounge have clean mics, meaning poets must refrain from using profanities or offensive language. To find out more about bluapple open mics, click here. Throughout the year, bluapple also creates and facilitates workshops and conferences for the poets within the network. Two of the largest of these events include the Poetry and Leadership Conference (PLC) and The Lab. Held during a Saturday every winter, PLC is a comprehensive conference with varying workshops created by professional playwrights, poets and teaching artists to help guide students through their journey as artists, story-tellers and even business people. Topics of workshops range from how to create a brand on social media to performance techniques in poetry. The Lab is a series of workshops held through the summer in collaboration with Nova Southeastern University, that features guest teaching artists on a variety of topics. To find out about the latest development events and workshops click here.